We do not simply build applications. We sculpt top-notch mobile experiences with emerging technologies. Mobilize your business with AIMDek’s end-to-end mobile app development services, by providing your users with high performing, productive, polished and intuitive solutions while they repay you with raised customer loyalty and enticing real-world engagement. 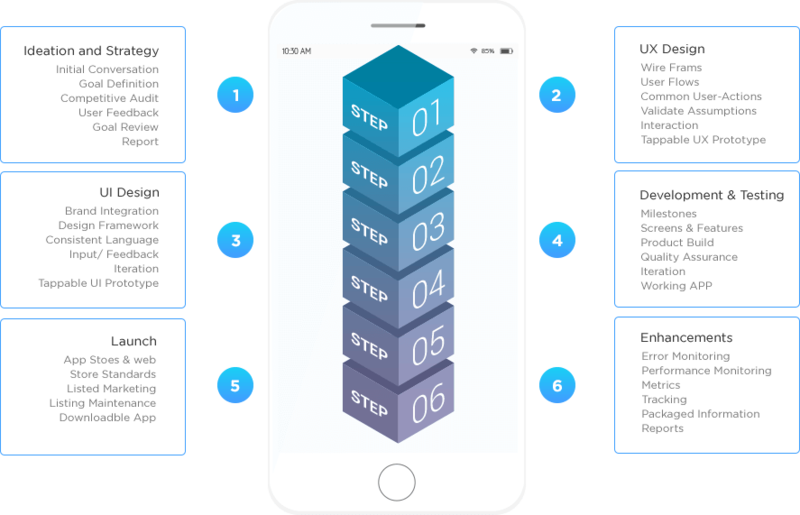 The process of developing a mobile app is not limited to coding. It involves crucial stages like ideation, strategizing, UI/UX design, prototyping, cost estimation, back-end and mobile development, release, and marketing. We sit down with your team to closely study the idea of your application and come up with a strategic solution with a vision of future growth. Our team of developers and QA experts help out in clubbing engineering and design efficiently while building lightning fast, scalable and robust mobile applications with unmatched security. 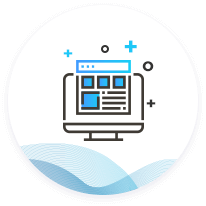 Team at AIMDek assists you successfully launch your application to the app stores while also helping you monitor performance optimization, bug-fixing, feature development and integration with third party solutions. To safeguard all the quality facets of custom mobile app development, the team at AIMDek focuses on multiple critical criteria. Crafting exceptional mobile experiences that you are looking for your enterprise mobile apps. We have got it all covered as far as user interfaces and user experiences are concerned. 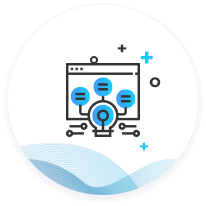 From the commencement of the project, we integrate scalability and interoperability considerations to support ever-evolving technological advancements and to augment the value of your application in the future. We deliver end-to-end mobile solutions across all the prominent mobile platforms and mobile-enabled technologies. We also cater mobile application delivery strategies to affirm the best possible optimal coverage of all the target audiences. 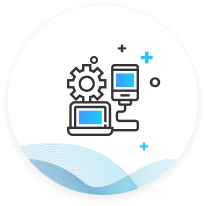 To keep up with the pace of consumer demands, we apply DevOps approach and continuous value delivery best practices to accommodate accelerated time-to-market while securing solution performance and quality. Leverage our expertise in delivering end-to-end mobile app development services across diverse platforms (native apps & cross-platform apps) that can translate your business logic into an enticing mobile app experience. 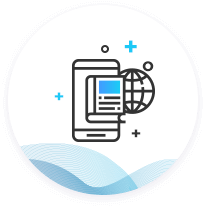 Leverage our expertise to coordinate and consolidate mobile data from various systems- on cloud, on premise or third party apps to a single dashboard. Allowing you a competitive edge in the market by keeping a continuous check on your app regarding alterations and upgrades at regular intervals. Ensuring functionality, usability, and performance of your mobile app to make it market-ready. AIMDek, an end-to-end enterprise software development company has got the experience of delivering a solution to various industry on-budget, on-time. Metamorphosing client’s vision into actionable software solutions across varied industry verticals. Create a Mobile app that let us Transform your billion dollar business logic into engaging Mobile App experience.